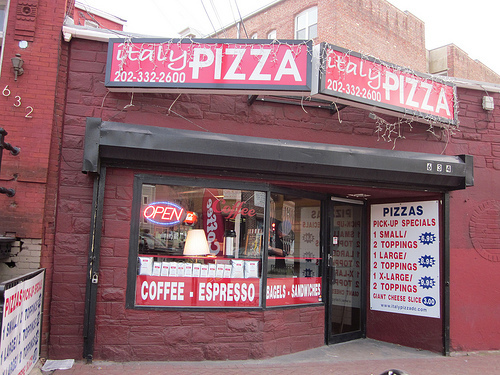 Italy Pizza at 634 Florida Ave, NW in Shaw/Ledroit Park is excited to begin serving coffee in the mornings and throughout the day. The pizza shop will continue to serve their regular menu. 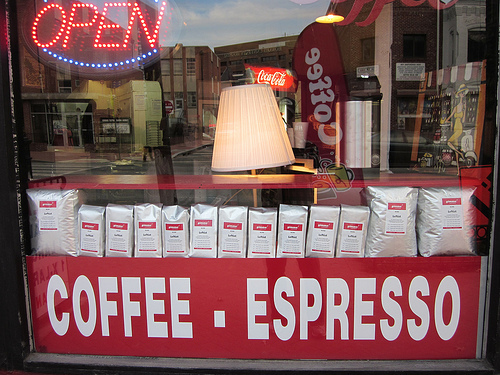 You might have seen some signs go up and we are displaying coffee bags in the window. The week of Feb 12th will be our soft opening. We will be serving coffee and espresso beverages starting at 7am including regular drip coffee, lattes, cappuccinos, and mochas. We are planning to sell bagels and other breakfast items starting next week. We are proud to feature Gimme! Coffee, a small-batch roasting company with locations in Brooklyn, Manhattan, and upstate NY. To our knowledge no other place in DC carries their coffee. We’ll be using their “Leftist Espresso” and are in the process of sampling their single origin coffees. We are committed to providing high quality, well-prepared drinks and will be keeping prices very reasonable– less than $2 for a 12 oz drip coffee and less than $3 for a 12 oz latte.